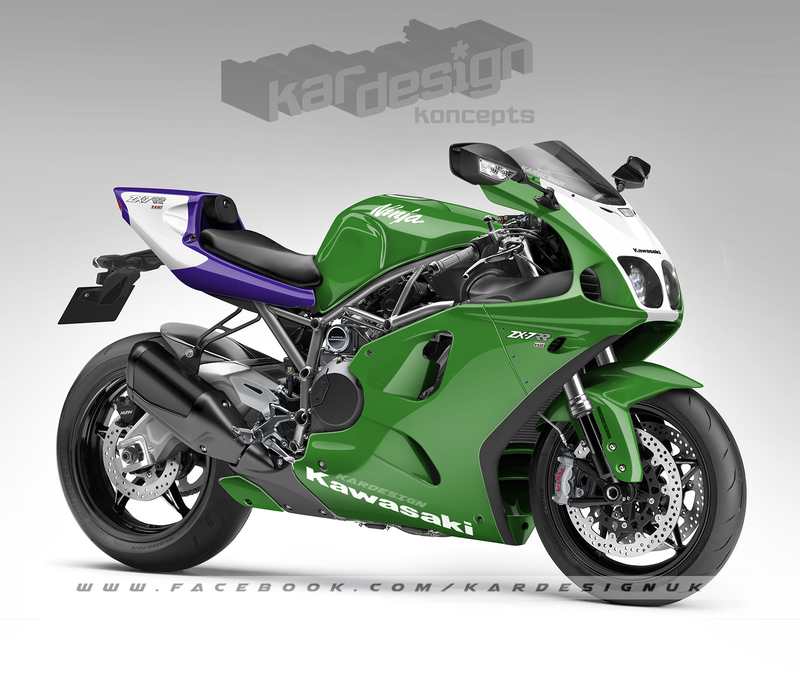 Meet the Kardesign Kawasaki supercharged ZX-7R koncept. From the air-cooled GPz, the water-cooled GPZ, through to the GPX before arriving at the WSB-conquering ZXR, Kawasaki have been the king of the 750cc sportsbike since the early 1980s. 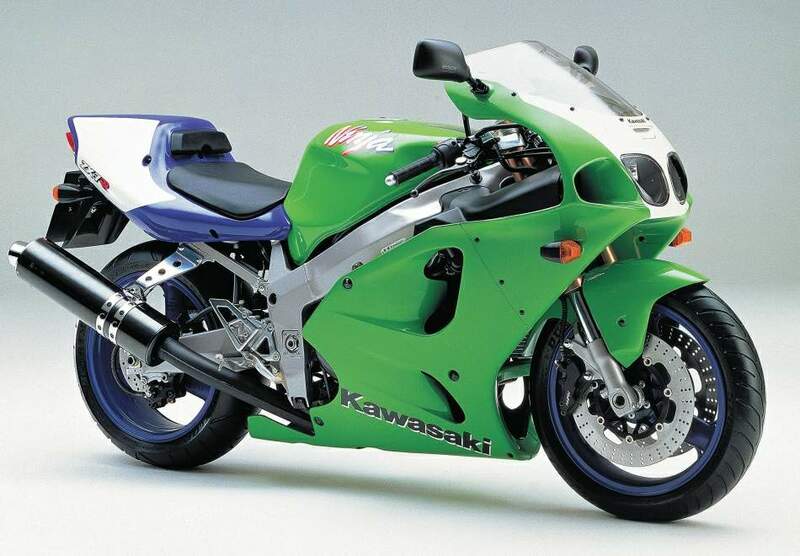 That reputation was sealed with arguably the best-looking bike of the 90s – the ZX-7R. Aggressive and handsome with it, it was a man’s sportsbike. Blessed with the most stable front end of any bike of that era, the ZX-7R made up for its weight and modest engine performance in the handling and aesthetics stakes until it was eventually left behind by faster, lighter competition. Sadly by 2003 it was the end of the road for the Kawasaki 750cc sportsbike as the last ZX-7R rolled off the production line. However, with the launch of the 1000cc supercharged H2 capturing the public’s imagination, Kawasaki could be onto something that could be the perfect excuse to bring the ZX-7R back. With manufacturers looking to turbo and superchargers to keep performance on the advance while complying with ever strict emission regulations (even the mighty GSX-R750 has been dropped from Suzuki’s range), it’s the perfect opportunity to recoup some of the H2’s R&D while tapping into a resurging nostalgic market. As a 1000cc 200-plus motorcycle, the H2 series is clearly on the extreme edge of performance that is difficult to fully utilise on the road. Moreover, not everyone is a fan of the edgy Transformers styling of the H2. However, reduce that capacity to 750 and dress it up in ZX-7R clothes for good measure and you still get 160bhp performance with chiselled good looks in the mix too. Your move, Kawasaki. Z1300 revisited: Kawasaki, please build this, thanks.